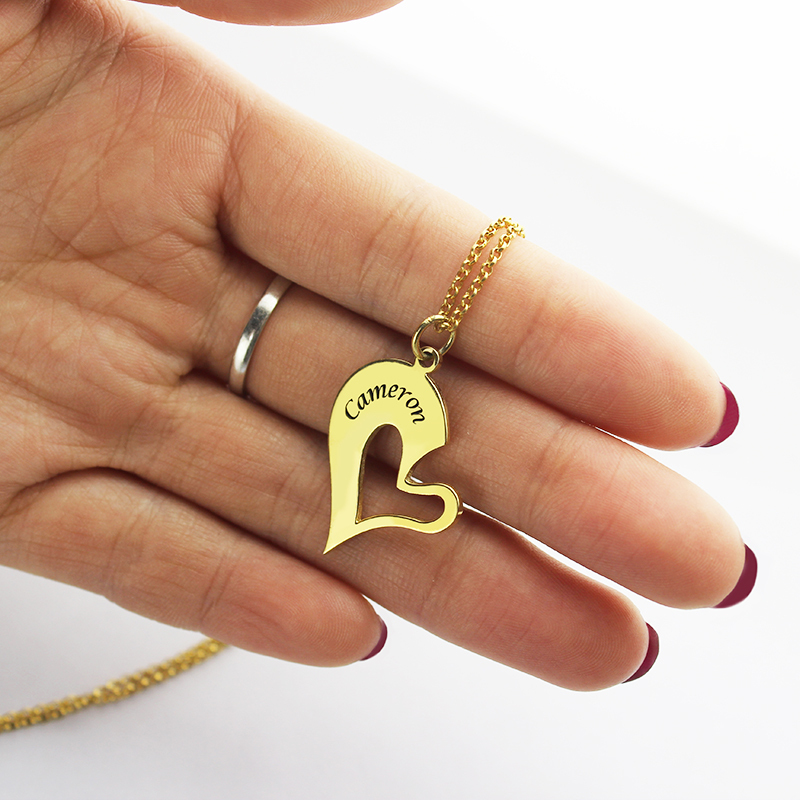 Double Name Heart Friend Necklace Couple Necklace Set 18K Gold Plated - Share your Love with this Sterling Silver Couple's Breakable Heart Name Necklace. 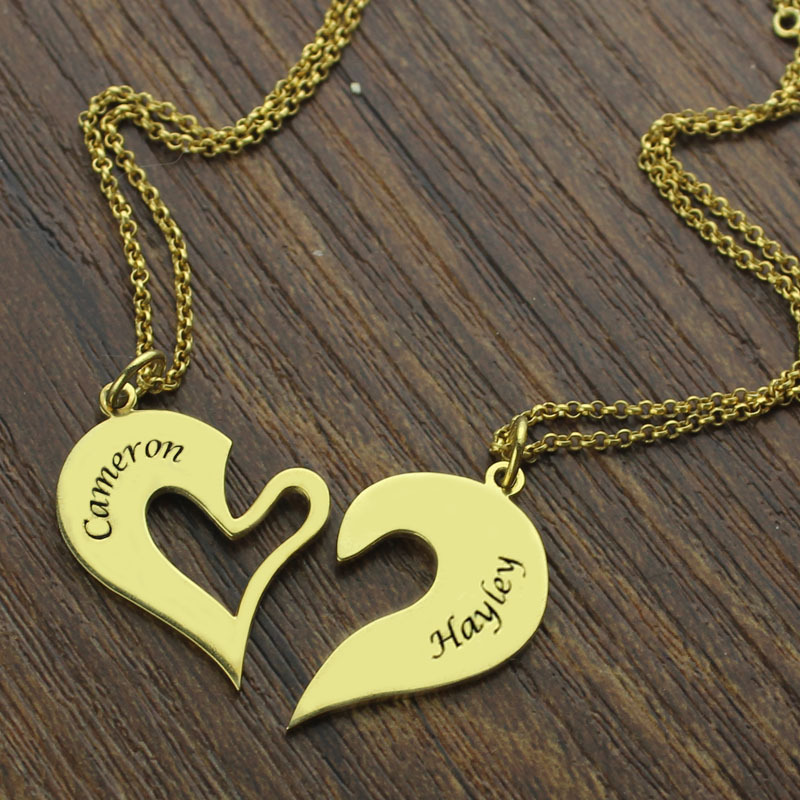 Each half of this breakable heart can be engraved with a personalized name. 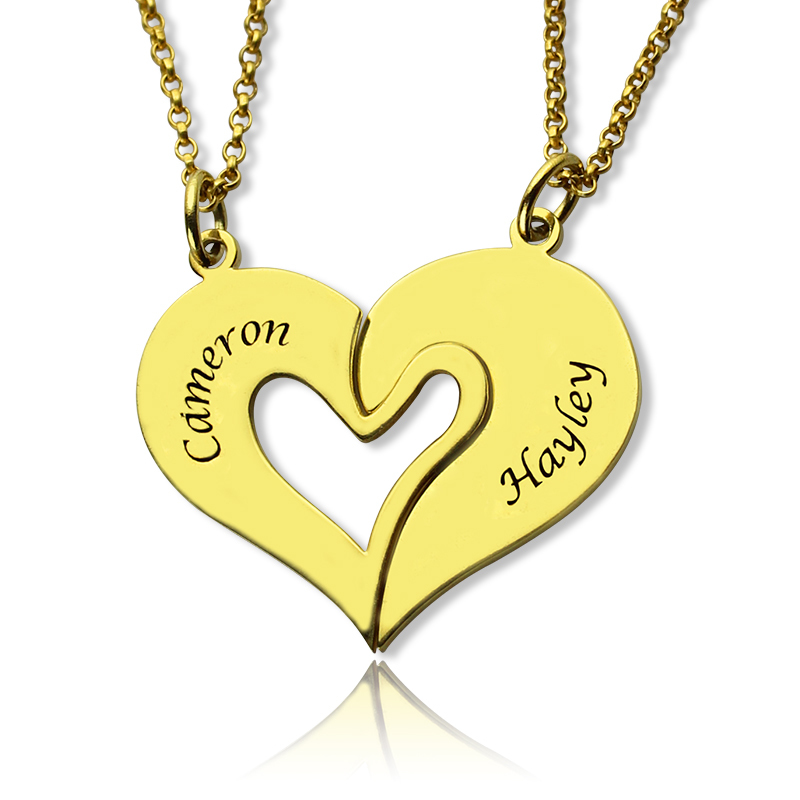 This necklace comes with a Sterling Silver Rollo Chain. 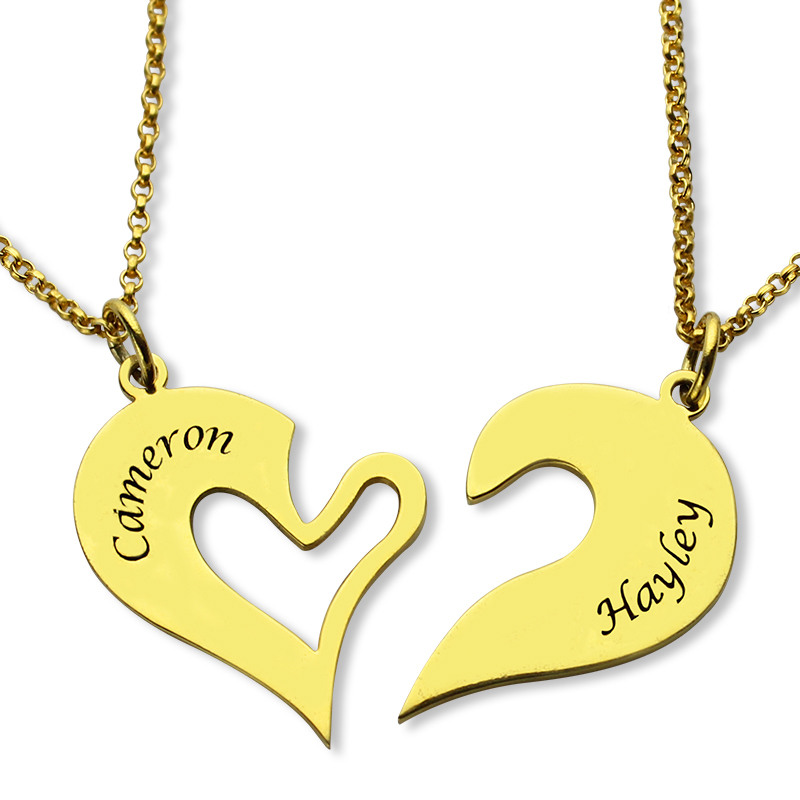 With their name around your neck, they will be with you always.Show off your love with this personalized gift!